Gorgeous Talavera large round flower planters or pots with their colorful and detailed design enliven a garden or any room. 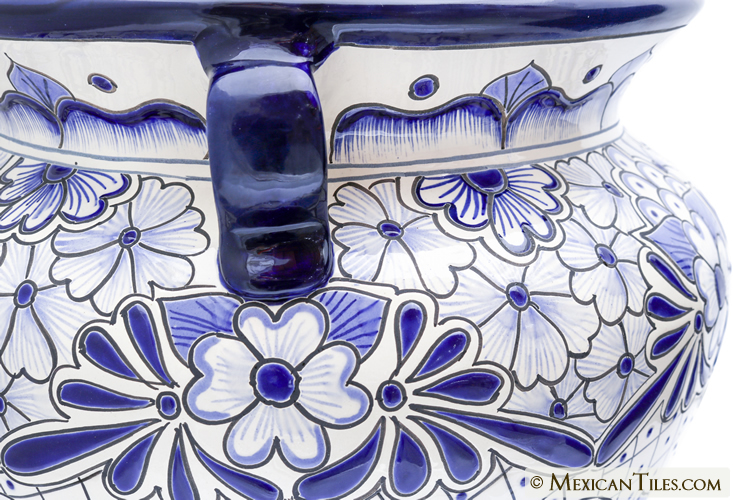 Talavera planters have traditionally adorned the entryways of many Mexican homes. 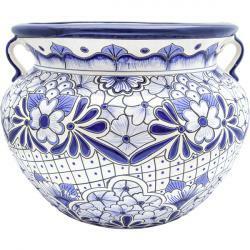 Mexican Tiles has selected and created a beautiful collection of high quality Mexican talavera round planters. 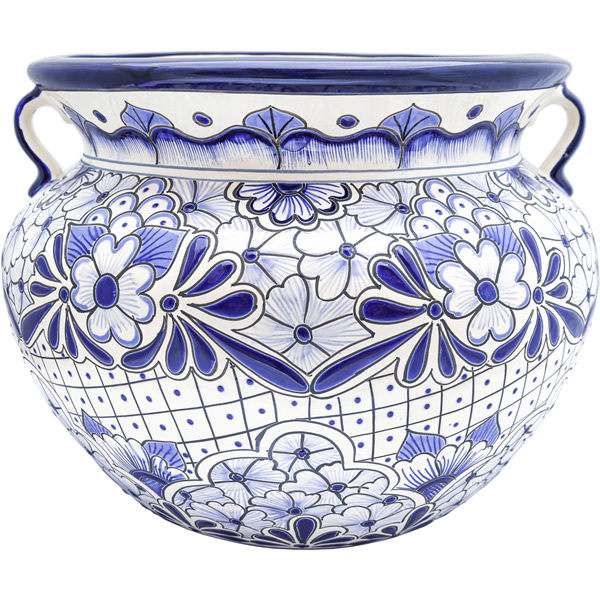 High quality vibrant genuine Ceramic Talavera Planter with rich and vivid colors. Ideal to bring life to any space. Color Variation: Slight variations are expected for all planters. For instance, size, color and design are all likely to vary due to the hand made process. Please note shades of color are seen differently on computer monitors. Lot variation in size and color may be present from shipment to shipment. There is no guarantee items ordered as add-ons will match those from the original orders. Care and Considerations: Clean with mild cleanser and damp cloth, do not use abrasive cleaners.